Training for a marathon is a brutal physical experience, loaded with highs and lows. Yet it’s compulsive. It becomes a routine and a structure that weaves its way through the rest of your life. It’s an ever-present objective. Something that comes to define what you do and why you do it. Through the winter months – I might add, the harshest winter we’ve had in Britain for 32 years – I ran through rain, snow, ice and arctic gusts of wind. Punished by the cold, at times running until my lips were cracked and bleeding from the harsh conditions, I swore to myself that it was just this once. Early Sunday mornings, the sun low in the sky, frost treacherous underfoot, it was always something I needed to keep up until April. Never again, or once more into the breach? Emerging from the winter, my runs stretched further than ever before, soaring up to beyond race distance. The killing leaden fatigue of having run 20 miles and knowing there were another seven left. The Sunday afternoons wiped out by utter exhaustion. The Monday mornings, walking delicately as my body attempted to recover from the ravages of the previous day. The long days at work, combined with the short daylight hours, colluding with my marathon schedule to result in 13-mile runs in the dark and cold. And the rain. My god, would it ever stop raining? Watching the early season race schedule get underway, feeling unable to take part in 10ks or half marathons (which I desperately wanted to race) because they wouldn’t let me get enough distance under my belt. Still, I ran, further and more, doubling up runs, squeezing exercise into my schedule, occasionally stopping to recover from bugs. As the race got closer, and my training schedule became more manageable (laughably easy, at times), I started to get a sense of the space that the marathon would leave in my life. But my new-found down time was spent thinking about the marathon, becoming an obsession. How would I feel at mile 22? What pace should I run at? What was I capable of? And then the race itself. After all this time, all these hundreds of lonely miles, all this focus. 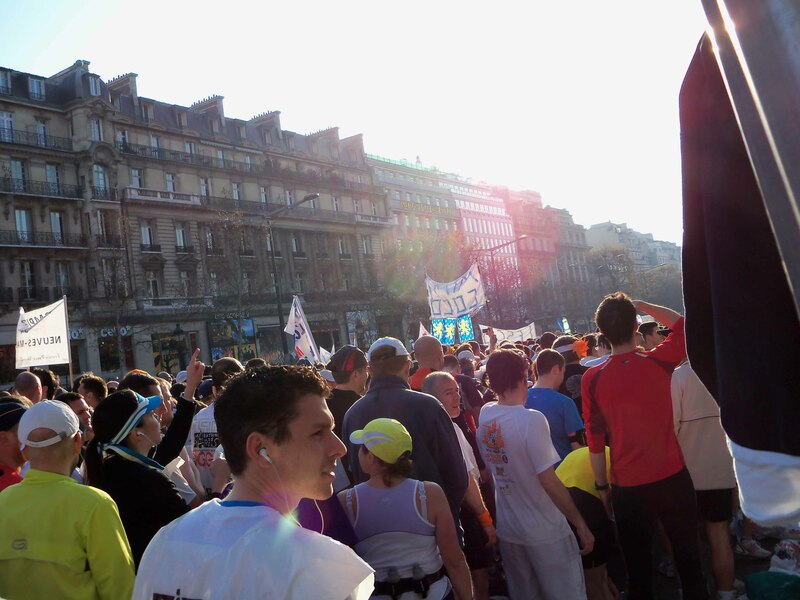 A perfect day: adrenaline rushing through my veins, the carnival atmosphere of a big-city race and a time to be proud of. And, like that, it was out of my life. Slowly – but not that slowly, in reality – it dawned on me that I missed the routine. Taking my first run outside after the marathon, ignoring the pace and without having planned the distance for the first time I could remember, I could still feel it in my legs. Like the sinews of your muscles are made of glass. But yet I wanted to run another. Brighton was coming up, London was on the horizon, Edinburgh was in a matter of months, Abingdon – for pity’s sake – would pass within a kilometre of my flat. One high doesn’t make a junkie. But a marathon isn’t a single high. It’s a series of hits – three, four, five a week, sometimes more – edging away, building your tolerance. Building your dependence. And now, having sworn for so many months that it was just this one, I’m looking for my next.